We're going green this Christmas and we've created hand made decorations from recycled materials around the zoo. We are also working with lots of community groups across Bristol and North Somerset to produce some fantastic recycled mosaics creating the Christmas Story. Over 200 children are involved in the project! Making your own recycled decorations couldn't be easier and we've got some handy guides to get your started. Approximately 13 billion plastic bottles are used each year in the UK only half of which are typically recycled. Therefore it should be fairly easy to get your hands on some plastic bottles for this recycled decoration. These baubles are great for refracting your Christmas tree lights and making the room bright and shiny. Get the whole family involved when creating these. 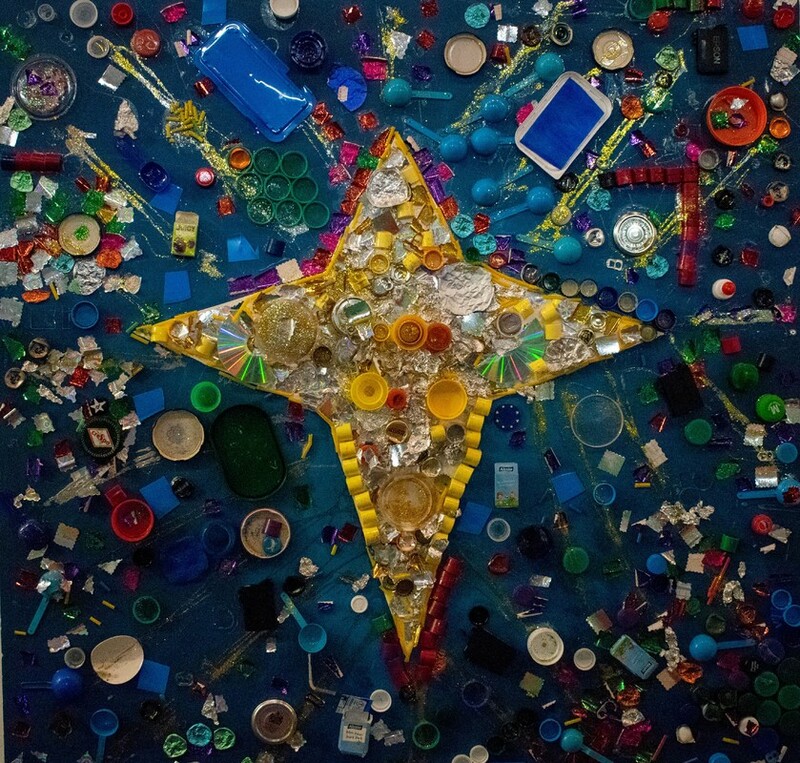 Some used plastic bottles, colourful paints, scissors and thread. Optional extras: hole punch, hot glue gun. Start with a clean plastic bottle; rinse out any old liquid and remove any plastic wrapping. Then cut off the top or bottom of the bottle, both make for fun shapes to work with. Make sure you remove any particularly sharp edges, especially if children are going to be helping with the decorating. Paint your creations. Go nuts and create your own christmas themed design. 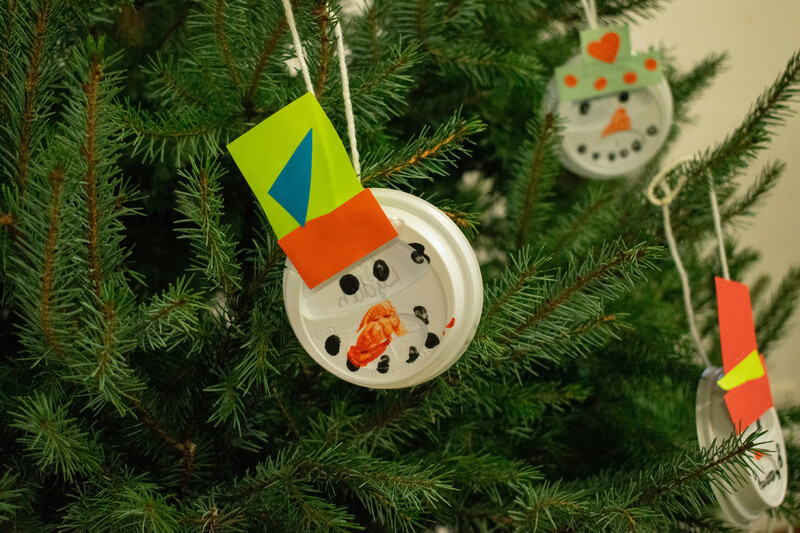 Once your paint has dried it's time to hang your recycled baubles on a Christmas tree. Use a hole-punch to cut a small hole in your bottle end and thread some string through the hole. Alternatively use a hot glue gun to stick the thread to the bauble creating a loop. 1 Old Takeaway coffee lid, string, a black marker pen, scrap paper and glue! Find some scrap paper that is no longer needed and cut it into a hat shape. Stick the hat to the top of the coffee lid. Using the marker pen draw a snowman's face. Tie a piece of string through the hole to create a hanging decoration! 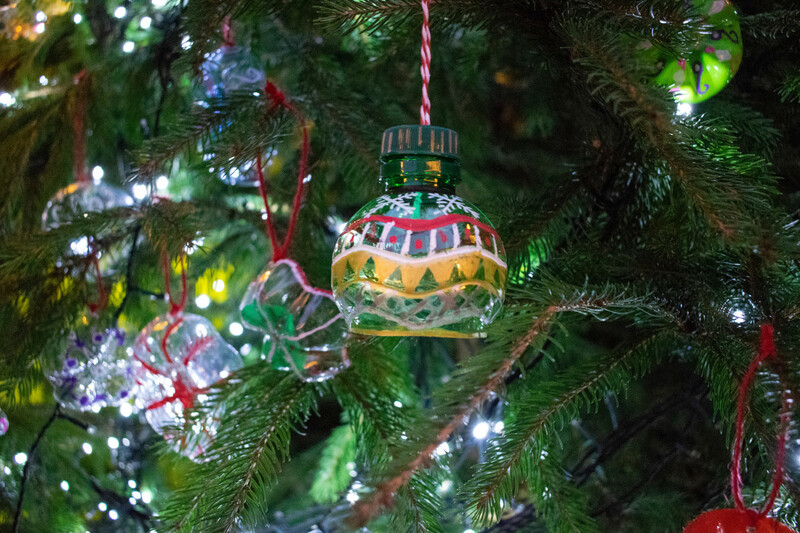 We'd love to see your own recyled Christmas decoration creations. Send them in to us via info@noahsarkzoofarm.co.uk or tag us on social media.